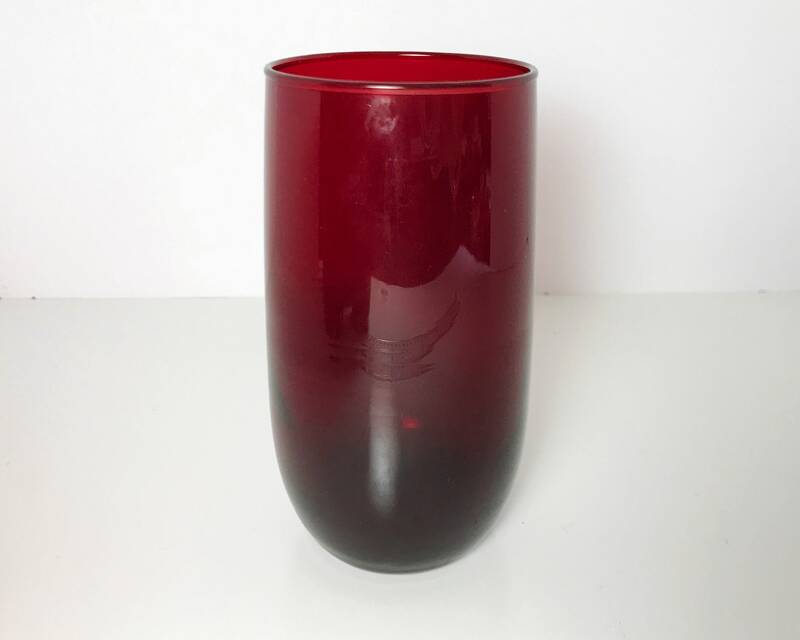 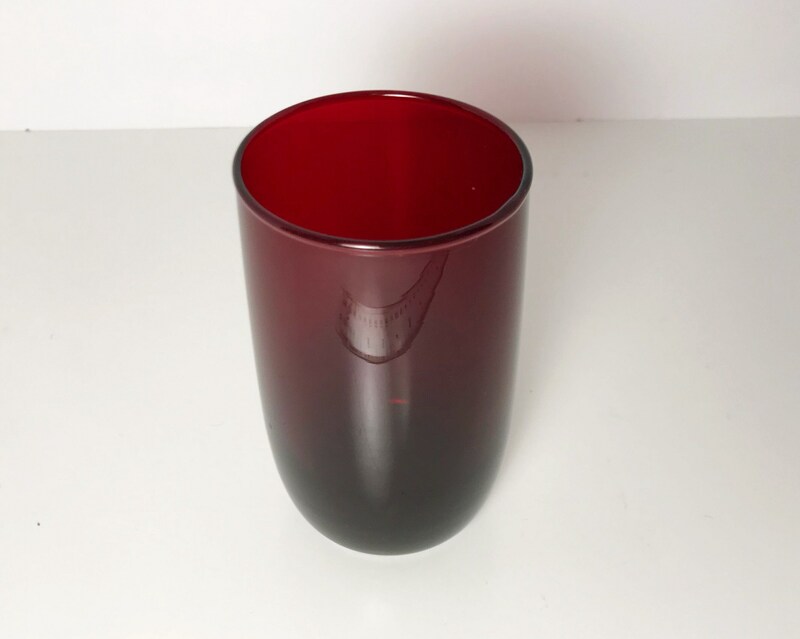 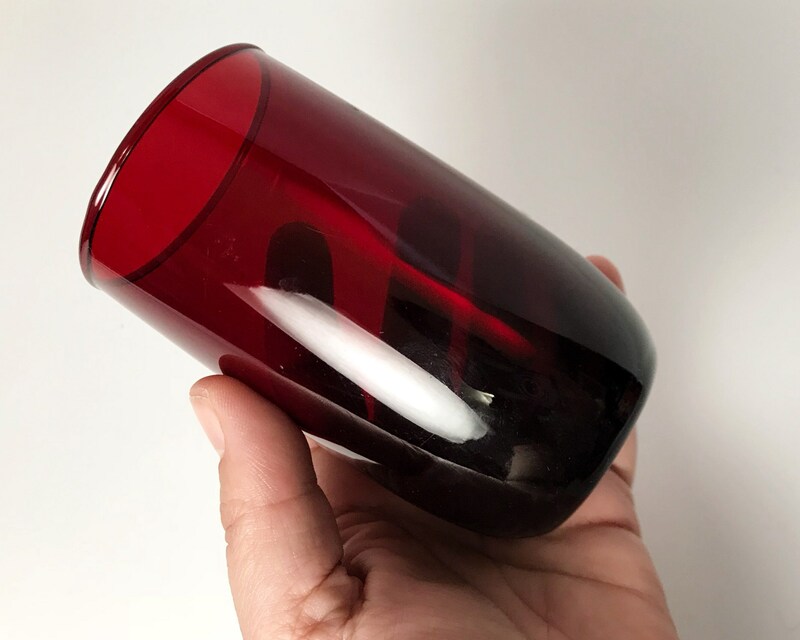 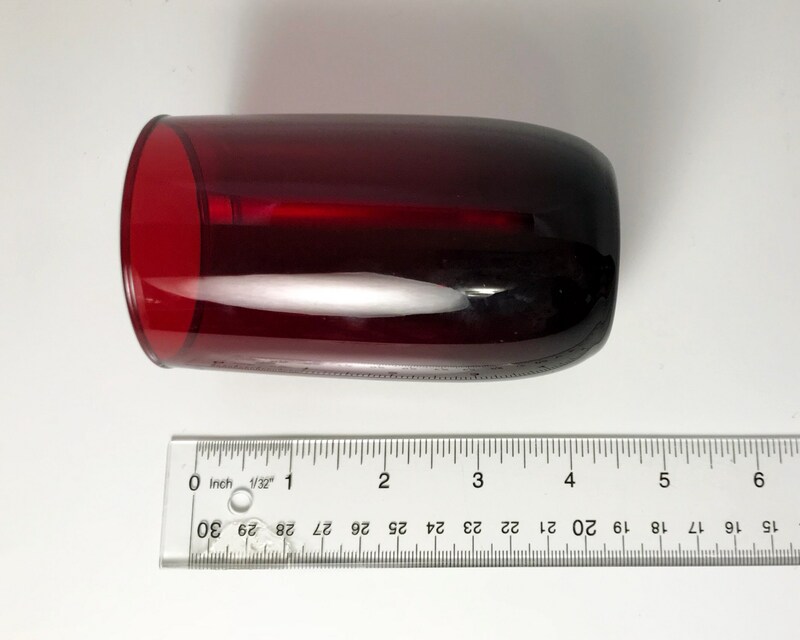 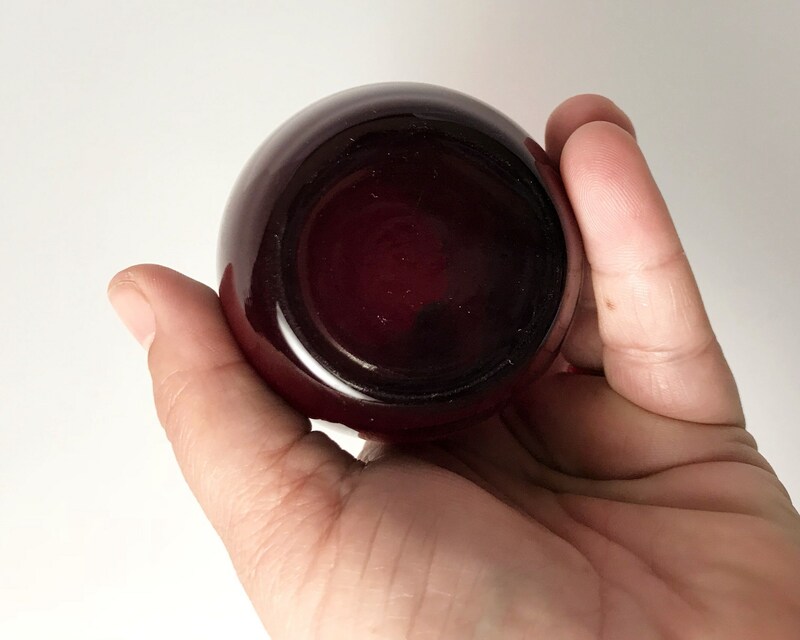 Vintage Royal Ruby Roly Poly 9 oz Flat Tumbler from Anchor Hocking Glass, rich, luscious red glass - beautiful with a very pleasing curved roly poly shape and flat bottom. 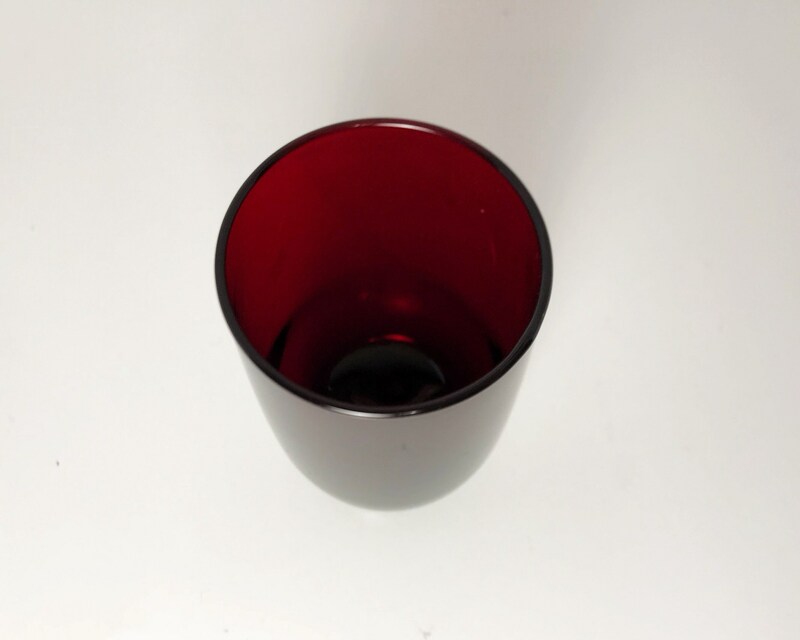 The glass is quite thin and light. 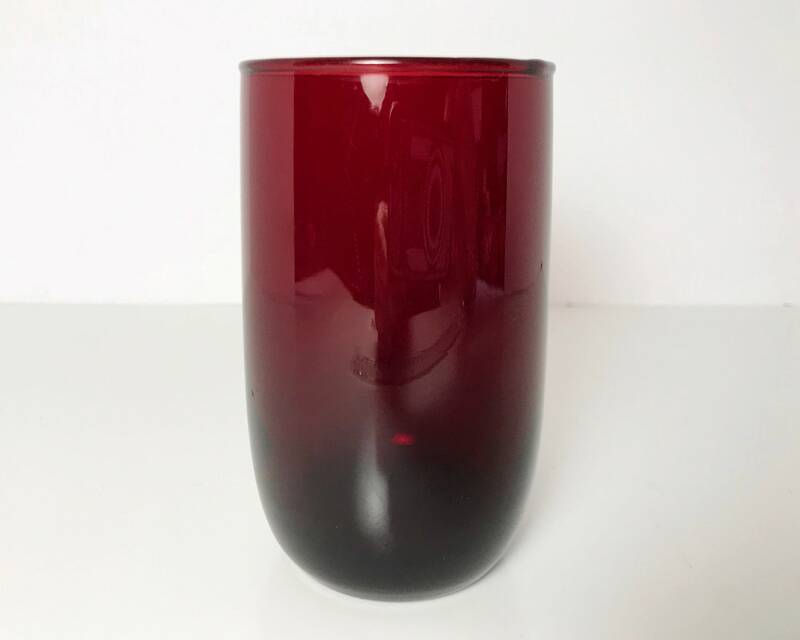 Anchor Hocking made their Royal Ruby color from from 1938 through the sixties so they are both cool depression glass and yet also great mid century modern! 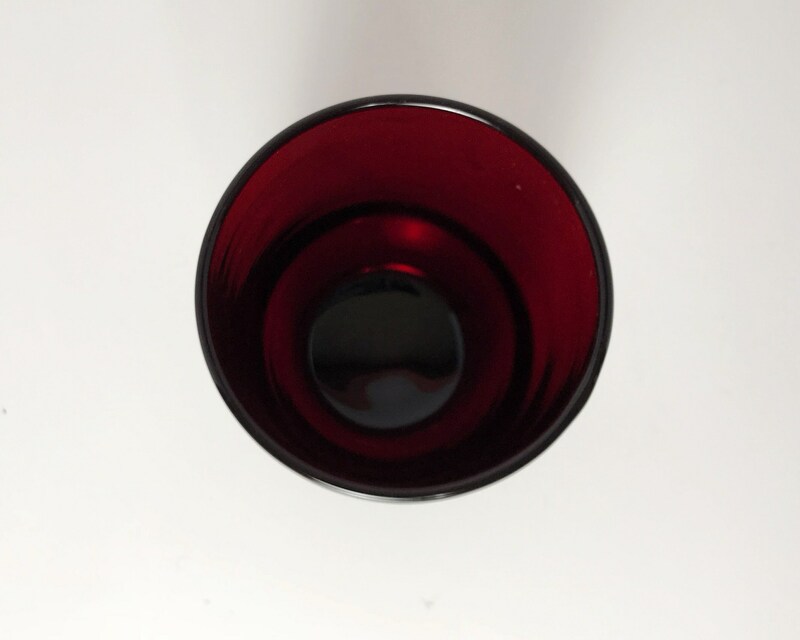 CONDITION: Very good, but there is a little scuff mark in one place.